Nova Scotia has announced the next steps to reach its goal of making the province more accessible for those with disabilities by 2030. 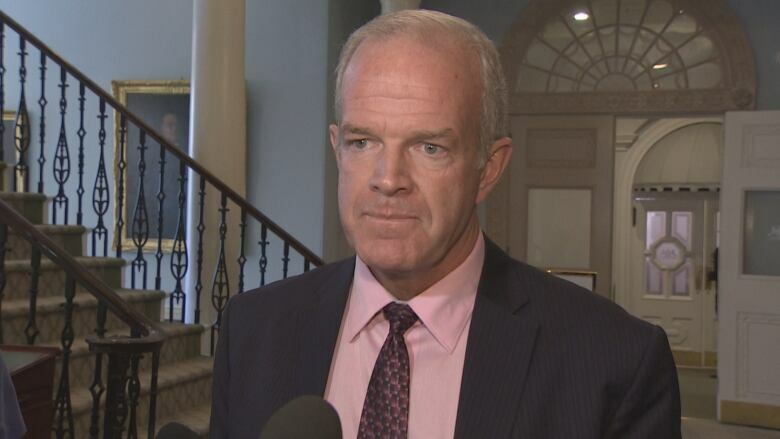 Justice Minister Mark Furey has released an implementation strategy for the province's Accessibility Act, passed in April 2017. Furey says the document, entitled Access by Design 2030, identifies priorities for accessibility standards, including the formation of committees that will develop standards for public buildings, streets, sidewalks and shared spaces, as well as education. He says the standards are expected to be rolled out in 2022 and will be implemented in subsequent years. The strategy also identifies actions to improve public awareness, build collaboration and increase compliance with existing regulations. The first Government of Nova Scotia Accessibility Plan was also released and outlines actions for improving access to the provincial public service and to government information, infrastructure, programs, and services for persons with disabilities. "Access by Design 2030 outlines how government, businesses, communities, and individuals will work together to create a province that is inclusive and accessible to all," Furey said in a news release. "The priorities outlined in the strategy and the continued input we receive from Nova Scotians will guide our work to make this province more equitable and inclusive." Both documents announced Friday were developed with input from persons with disabilities and their families, those who provide services to those with disabilities, municipalities, and representatives from the non-profit, education, health, and business sectors. The government said public consultations will continue as the standards are developed and implemented. "The success of the Accessibility Act can only be achieved when the voices of those directly impacted are heard," said Doug Foster, chairman of the Accessibility Advisory Board. The Accessibility Act was passed with stiffer language and penalties after the Liberal government was forced to redraft its initial attempt tabled in the fall of 2016, following heavy criticism from people and groups it was meant to help. It also was expanded to include people with learning disabilities. The Act contains fines of up to $250,000 for the most serious cases of non-compliance with established standards — an increase from $25,000. It also stipulates that standards need to be achieved rather than improved. When the new law was passed in 2017, Nova Scotia became the third province with accessibility legislation joining Manitoba and Ontario. The first piece of federal legislation, the Accessible Canada Act, was tabled just before the house rose in June. The Liberal government pledged $290 million over six years toward supporting its implementation.